I really can not believe that I have kept up with my card a day. It has been so much fun. Only 66 to go. I just hope I can keep going. There is a granddaughter due early in December. 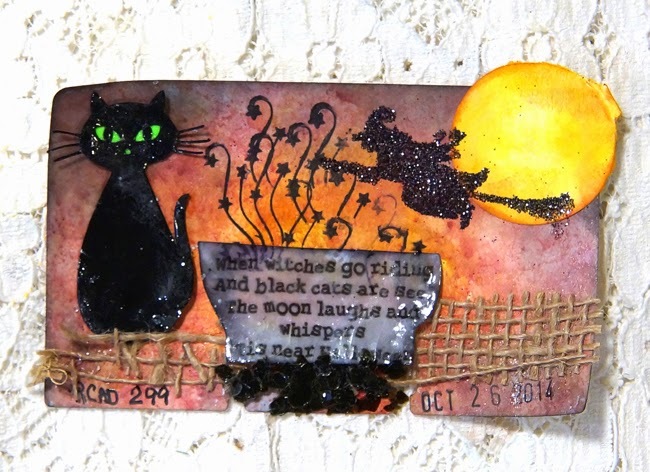 Todays card is another Halloween one that I made to go with a fun little Halloween quote that I found. I did a lot of fast forward and cutting to this video. It was over 30 min and I have it down to 4:55. LOL I do try to keep them short. I know you have other things to do besides watching me.